Home / All Posts / WriteShop Primary / Help us pick cover illustrations! Oh, the excitement is mounting! The talented Deborah Thomson keeps sending us sketches, each one cuter than the one before! Since WriteShop Primary teaches writing for kindergarten, first, and second grades, we especially love the cheerful, whimsical, inviting faces and poses. 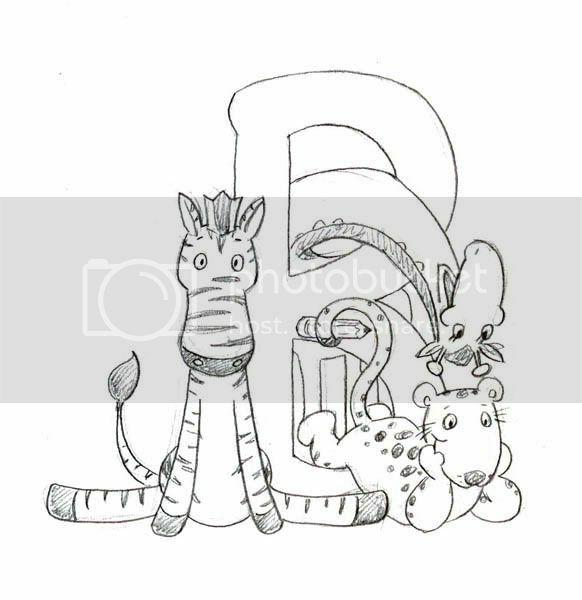 Once we settle on our three sketches, Deborah will create a clean drawing of each grouping. Finally, she’ll add color and shading. Cover A1 or Cover A2? Cover B1 or Cover B2? Cover C1 or Cover C2? In addition, feel free to make suggestions for postures, expressions, or placement. Or maybe you like an animal from A1 that would look better in C2. Please tell us what you think! WriteShop Primary Book C – take a peek! 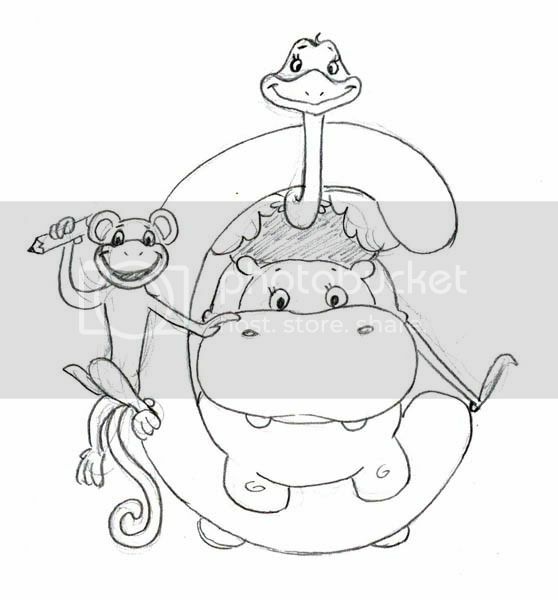 My favorites are the monkey hanging upside down with the pencil in C2 and the elephant holding the pencil in A2. I also like the flamingo with them. Will they be around a W for WriteShop Primary or what? How do the alphabet letters work in? Good question, Nancy, and fortunately, one with a simple answer! The alphabet letter reflects the book level: We’ll use an “A” for Book A, “B” for Book B, and “C” for Book C.
My vote is for C-2. It is so cute! They are all cute as can be but I like these the best as the letter seems to stand out a little better. How adorable!! I like A2, B1 and C2 best. A-2, B-1, C-1. Each one is easier to see at a glance as they are not piled on top of each other. My son, Jeremy and I, both like C2 the best. Jeremy says green border for C2 would look the best. He is very artistic, so I vote for green border too. Hey, thanks for voting, Jennifer! If it helps to clear up any confusion, there are actually three different books, each with a different cover. So Jeremy will get his wish for a green cover–but it will be on Book B rather than C. I know he’ll love it once it’s finished! I like A-2 and C-1. 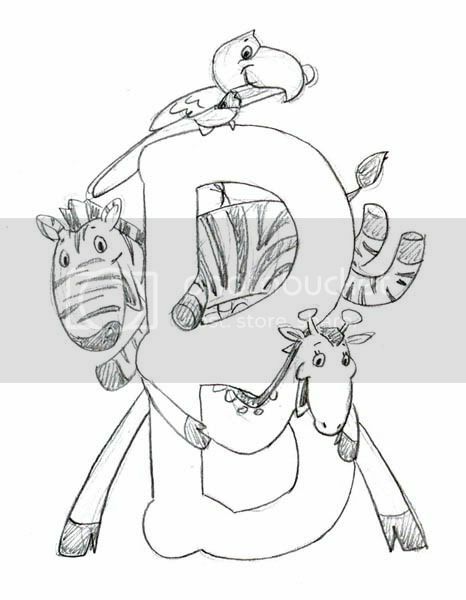 Not only are the animals pleasing and friendly looking, the proportion of the animals to the letter is perfect. Those two choices seem more symetrical to me. 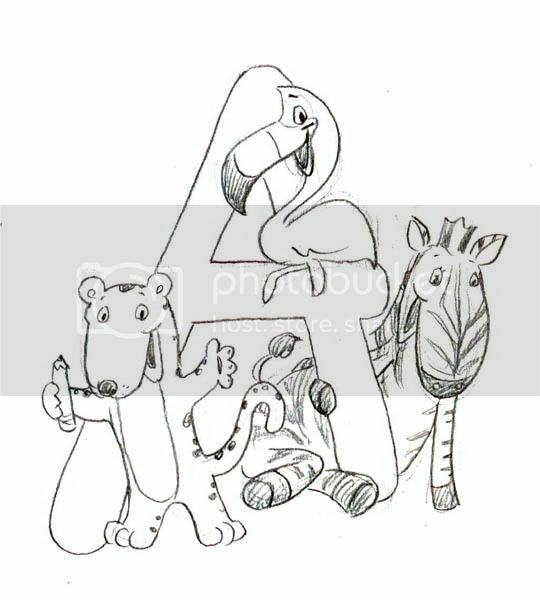 I like A2, B1, C2 best, because I like the poses of the animals best. I didn’t think about colors and how they’d co-ordinate with the border though. I also love the hippo – but he wasn’t in my overall faves. My favorites are A1, B1, and C2. We vote for A2, B1, and C2. I like A1–in particular I like the way the bird is sitting on the letter. I don’t have a strong opinion about the rest of the animals in A1 or A2. I like B2 better than B1. 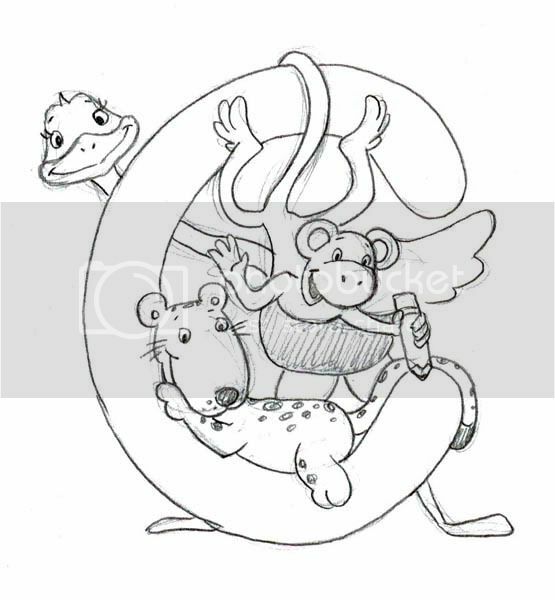 In B1, too much of the letter is covered up and the animals are all on the bottom, leaving too much white space at the top. B1 almost has too much white space at the bottom. They are all beautiful drawings. As a kid, the covers alone would put me at ease–even if it is a school book. hi, they are so cute. My thoughts were to choose a diagram that both genders could identify with. I chose A2, but I would trade the zebra for the tiger. It is more identifiable. Or else substitute the giraffe for the tiger. I (Elizabeth) like A2, B1, and C2. Molly likes A1, B2, and C2. A-2, B-1, and C-2 appeal to me! I had to look twice at the shape of the letter B on B-2, and the placing of the ostrich on top of the hippo is a bit awkward in C-1. Creative critters!!! And C is tough. They’re both really cute. I think I’ll go with C2. They are all really adorable. She did a great job. My son (Jack) and I both agree on A2, B2 and C1. Now, if you only had an art curriculum so we could learn to draw as well as Deborah! I like A2, B2 and C2. The animals look the happiest and most ‘welcoming’ in those, IMHO. Very cute. Oops, didn’t mean to hit “enter” — meant that the tiger’s face is too similar to the zebra’s. If you hadn’t mentioned that it was a tiger, I’m not sure I would have guessed. 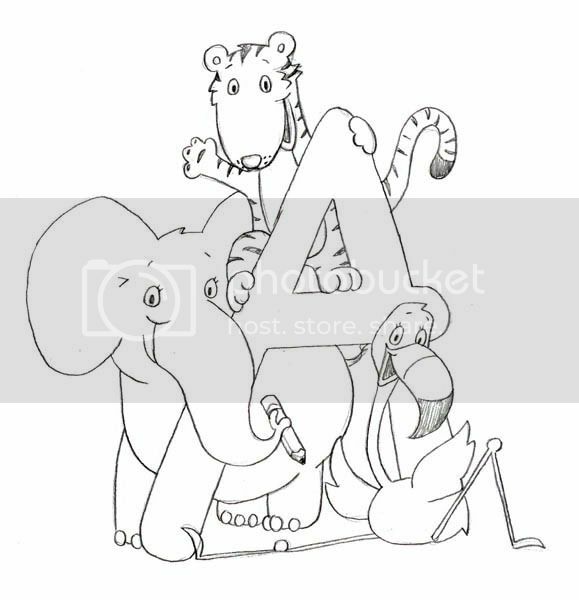 A2 (the elephant’s trunk across the letter is nice), B1 (giraffe is so cute), C2 (like the leopard lying in the C like that). They are all cute though! I like A1, B1, and C2 …for whatever it’s worth! My choices are A2, B2 C1. They are not as busy to me. I prefer the more simple illustrations. Our cover illustration poll is now closed.